People use metaphors every time they speak. Some of those metaphors are literary - devices for making thoughts more vivid or entertaining. But most are much more basic than that - they're "metaphors we live by", metaphors we use without even realizing we're using them. 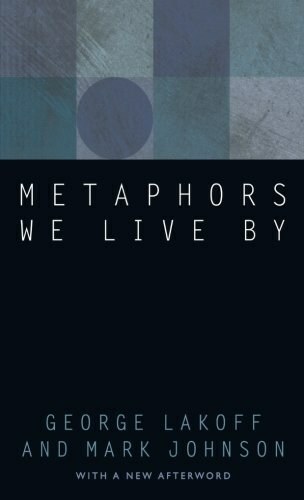 In this book, George Lakoff and Mark Johnson suggest that these basic metaphors not only affect the way we communicate ideas, but actually structure our perceptions and understandings from the beginning. Bringing together the perspectives of linguistics and philosophy, Lakoff and Johnson offer an intriguing and surprising guide to some of the most common metaphors and what they can tell us about the human mind. And for this new edition, they supply an afterword both extending their arguments and offering a fascinating overview of the current state of thinking on the subject of the metaphor. George Lakoff is a professor in the Department of Linguistics at the University of California, Berkeley. He is the author of, among other books, Women, Fire, and Dangerous Things and Moral Politics, both published by the University of Chicago Press. Mark Johnson is the Knight Professor of Liberal Arts and Sciences at the University of Oregon. He is the author of The Body in the Mind and Moral Imagination, both published by the University of Chicago Press. Johnson and Lakoff have also coauthored Philosophy in the Flesh: The Embodied Mind and its Challenge to Western Thought. "The kind of conceptual system we have is a product of the kind of beings we are and the way we interact with our physical and cultural environments." 1.metaphor is not just a matter of language. 2.human thought processes are largely metaphorical. 3.human conceptual system is metaphorically structured and defined. The metaphorical concept is systematic, the language we use to talk about that aspect of the concept is systematic. 1.Structured metaphorical concept is partial, not total, it means that can be extended in some ways. 1.Orientational metapor have the basis in our physical and cultural experience. 2,Most of them are organized in terms of one or more spatialization metaphors. 3,Spatialization metaphors are based in physical and cultural experience and not assigned randomly. 1.Not all cultural values coherent with a metaporical system. 2.The various subcultures of a mainstream culture share basic values but give them different priorities. 3.Not all cultures give te priorities to up-down orientation. 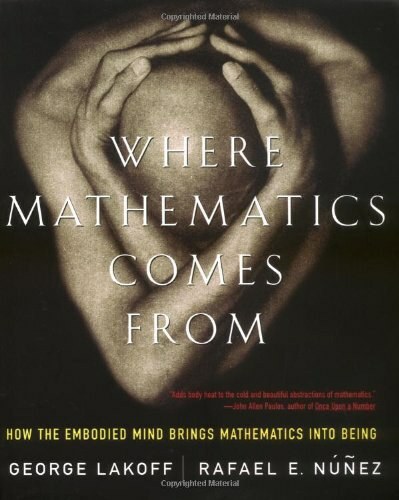 1.The basic experiences of human spatial orientations give us the rise to orientational metaphors. 2.Our experiences with physical object provide the basis for an extraodinarily wide variety of ontological metaphors as it follws: ways of viewing events, activities, emotions, ideas, etc., as entities and substances. 3.INFLATION examples, refers a few purposes used in the range otontological metaphors such as referring, quantifying, identifying aspects, identifying causes, setting goals and motivating actions. 4.THE MIND example and BRITTLE OBJECT example do not focus on the same aspect of mental experience. 5.Defining of a territory, putting a boundary around human instincts, is an act of quantification, we view them as containers with an inside and an outside. 6.TUB examples, view the tub as a CONTAINER OBJECT,while the water is a CONTAINER SUBSTANCE. 7.The metaphorical concept visual fields are containers. 8.Events and actions are conceptualized metaphorically as OBJECTS, activities as SUBSTANCES, states as CONTAINERS. 9.the RACE example, we view the race itself as a CONTAINER OBJECT, the start and finish as EVENTS,running as the ACTIVITY. 10.Activities in general are viewed metaphorically as SUBSTANCES and therefore as CONTAINERS. Thus, activities are viewed as containers for the actions and other activities that make them up. 1.perhaps the most obvious ontological metaphors. 2.personification is not a single unified general process. 3.INFLATION example shows that personification is a general category that covers a very wide range of metaphors. 1.Personification does not refer to actual human beings,but Metonymy does. 1.Metaphor is principally a way of conceiving of one thing in terms of another, and its primary function is understanding. 2.Metonymy has primarily a referential function, it allows us to use one entity to stand for another. 3.Metonymy is not merely a referential device, it also serves the function of providing understanding. 1.Allow us to focus more specifically on certain aspects of what is being referred to. 2.Not just a poetic or rhetorical device. 3.not random or arbitrary occurrences,but systematic. 1.TIME IS A MOVING OBJECT METAPHOR is the best example of the Metaphorical Contradiction. 2.TIME IS STATIONARY AND WE MOVE THROUGH IT exapmle have two subcases of the same metaphor. 3.In general, metaphorical concepts are defined not in terms of concrete images, but in therms of more general categories like passing. Some examples that we called literal expressions structured by metaphorical concepts. Lexical metaphors and grammatical metaphors!!! Stupid enough to choose this topic!!! I hold a grudge against my dissertation!!!!!! Any adequate theory of the human conceptual system will have to give an account of how concepts are (1) grounded, (2) structured, (3) related to each other, and (4) defined.